Makeup primers have been a staple in my makeup routine ever since I've known Smashbox's oil free foundation primer. I feel that the foundation blends easier onto my face and stays put for longer period of time. I saw a primer from Baviphat and decided to give it a try. I purchased the sample from Cupcalicious for IDR 29,000 because I was afraid it wasn't gonna work beautifully and that it would be a waste of money if I were to buy the full size. 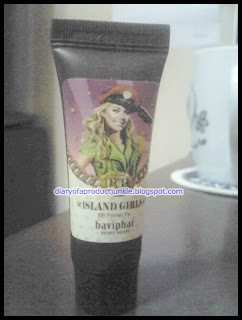 The sample size comes in a small squeeze tube with a twist cap. I don't see any ingredients list on the back of the tube, it's probably written on the full size tube. The consistency of the product looks creamy, but once blended it has a watery texture that soaks right into the skin. 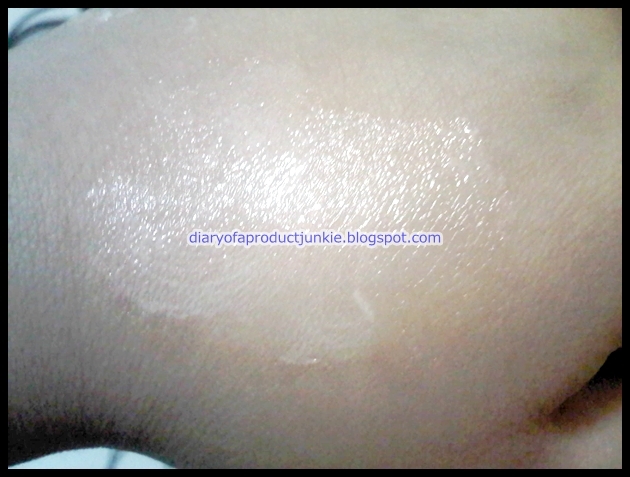 The color of the primer looks slightly pink and glowy, but it turns to a transparent glow once evened out on the skin. It gives a beautiful, radiant glow to my face without looking like an oil slick. It dries to a wonderful satin finish, with only a hint of glow on my cheeks. It's not super matte, like my Smashbox photo finish. 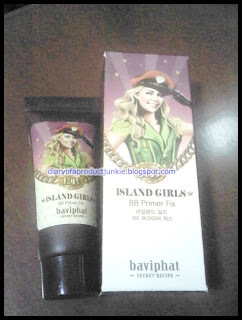 It preps my face before applying any BB cream or foundation. It is suitable to use before BB creams that has a thick consistency and hard to blend. Today, I use this before applying SKIN79 Diamond Prestige BB, which is sometimes a little hard to blend because it dries faster than my other BB creams. To my surprise, it's super easy to blend after using this primer!! The scent is kinda like the perfume of an old lady. I'm really bad at describing scents, but it smells almost musky, sort of. It doesn't really bother me, but it would be better if there's no scent. All in all, I really think this is a good primer for people wanting to have that radiant glow from within, if that makes any sense at all. I love the finish and would probably repurchase the full size one once this runs out. which size is this ?